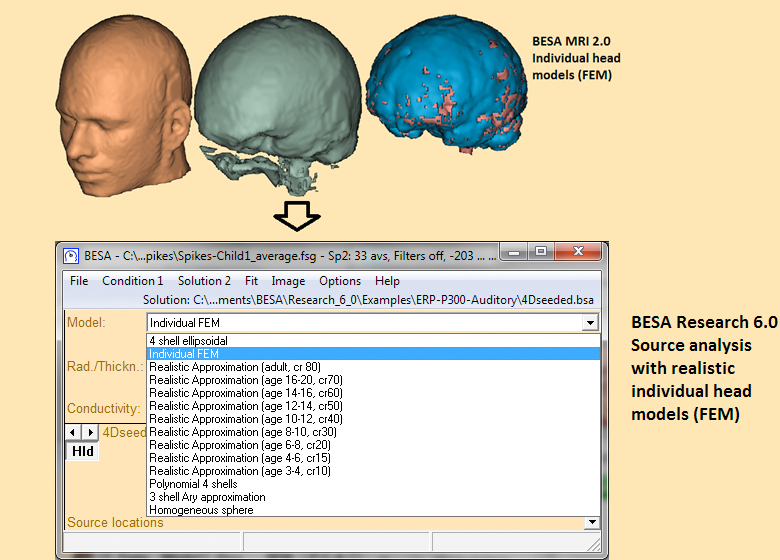 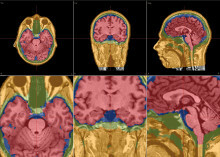 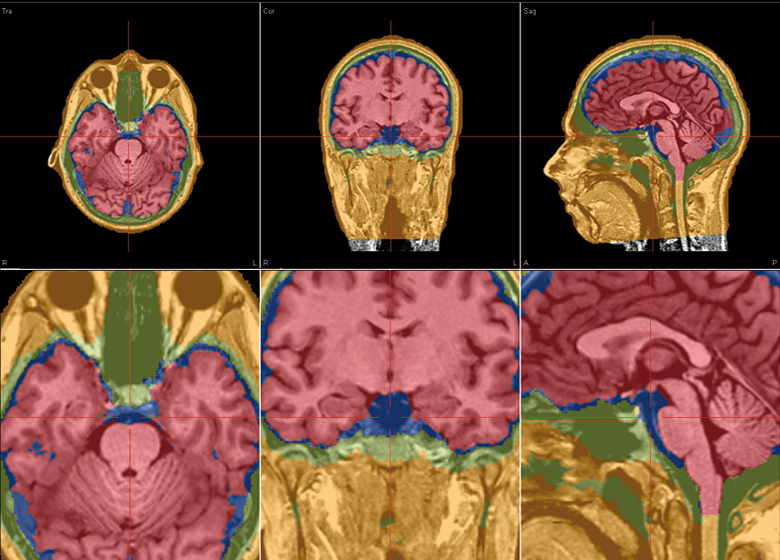 MRI data is segmented and used to generate individual 4-layered (scalp, skull, CSF and brain) head models (FEM). MRI data can easily be co-registered with EEG / MEG data using individually digitized electrode positions or standard electrodes. 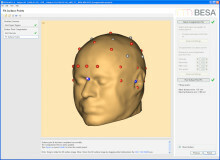 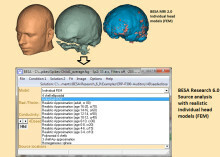 Individual head models for source analysis.